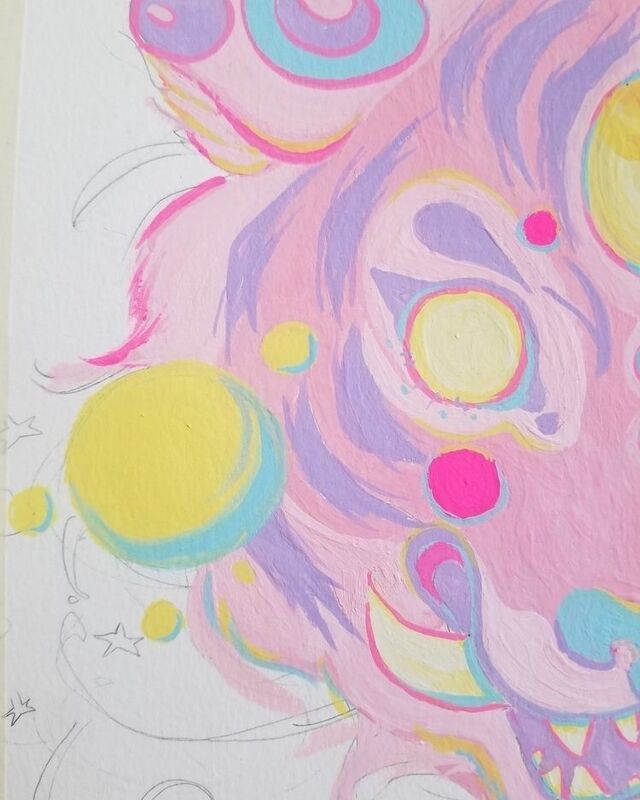 Slow progress on my neon tiger gouache painting! I've been slowly tweaking bits and pieces of it and stepping back to notice flaws I could fix. I didnt realize how lopsided my sketch was till I start laying colors down! I wanna finish this bb asap! Hoping to grind it out by next week!